Diane is our newest member. Diane has produced some fabulous work and has great attention to detail. 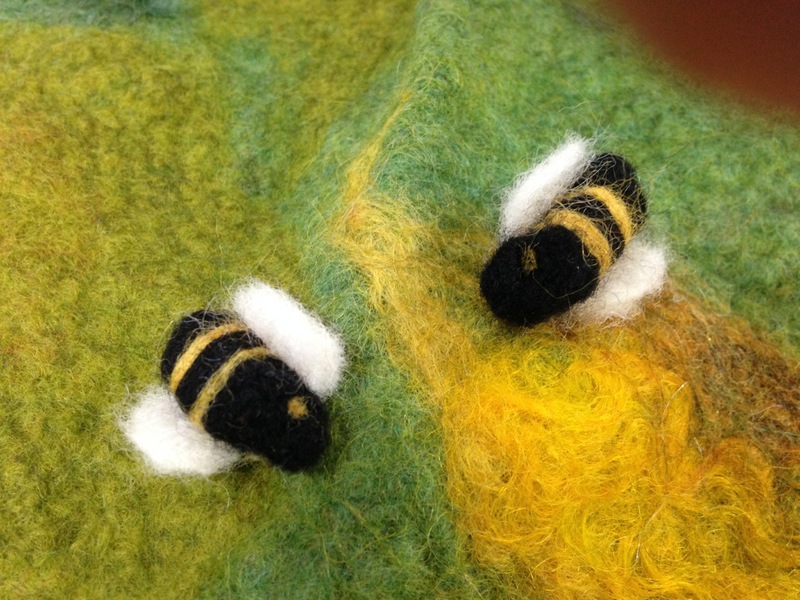 Here, Diane is needle felting some bumble bees. 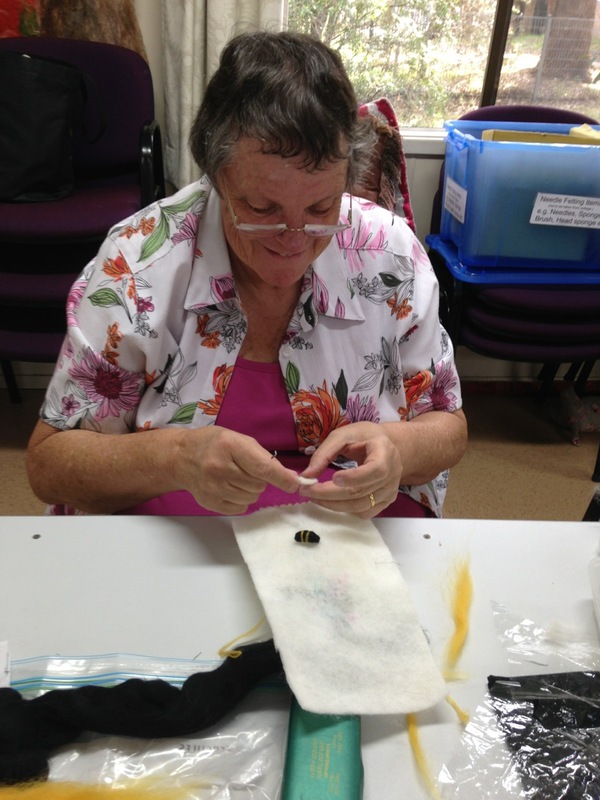 Diane attends the Thursday felting group and is amazing. Here are the two bumblebees, ready to take flight. By Lyn A.